BATON ROUGE — Though texting while driving is illegal, law enforcement officers face difficulties in pulling over distracted drivers. A bill passed by a Senate committee Thursday would make it easier for police to issue citations by expanding the list of prohibited cellular activities, like taking “selfies” and checking social media sites, in an attempt to decrease traffic accidents. Law-enforcement authorities say that under current law, they cannot ticket drivers who insist that they were using their phones for something other than texting. So under the bill, simply holding a device in either or both hands would be against the law at the start of next year. The bill, written by Rep. Mike Huval, R-Breaux Bridge, would prohibit the use of wireless telecommunication devices in moving vehicles unless the driver uses hands-free technology. Current school zone laws forbid an individual from accessing social networking sites while driving, manually entering a name or number to initiate a call, texting or using a phone camera to take a picture or video. The bill, which passed unanimously in the Senate Transportation, Highways and Public Works Committee, would extend school zone laws to the entire state. The bill now heads to the Senate floor. The House previously passed the bill with a 53-34 vote. 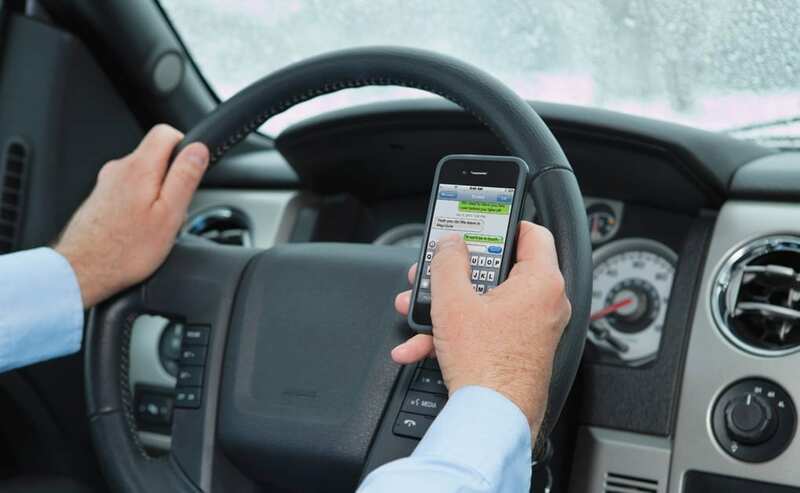 “Between 60 and 80 percent of accidents are caused by distracted driving,” Huval said. A first citation warrants a fee of up to $125, while the second violation is punishable by a fine of up to $250. Subsequent violations are punishable by fines up to $250 as well and suspension of the violator’s driver’s license for a 15-day period. Several Louisiana residents testified in support of the bill after losing loved ones in accidents initiated by distracted drivers that were on their phones. Salter said her daughter had a baby, and now he doesn’t even remember her except by a picture. Gabrielle Madere lost her 5-month-old daughter after being hit in a traffic accident involving a driver that had been texting. Under Huval’s bill, people could use their phones while driving only to navigate, report a collision or a situation where one believes an individual is in jeopardy of serious injury or death. Residents who own older-model vehicles without Bluetooth capabilities would have to use hands-free technology like adapters or a headset to participate in phone calls. The law does not apply to on-duty law enforcement officers, firefighters or operators of authorized emergency vehicles. Kevin Cunningham, representing the American Insurance Association, argued that the bill could be made more effective if it made the use of phones while driving as a moving violation instead of a non-moving violation that cannot be rated by insurance companies. “If you want to incentivize as many people as you can to follow this law, one of the ways is maybe bumping up insurance rates as a result of texting or using a phone while driving,” Cunningham said. Huval said a high fine or increased insurance premiums would disproportionately affect parents of younger drivers that violate the anti-phone law. “A seatbelt ticket is $25, but it has gotten people’s attention,” Huval countered. Officers cannot search through someone’s phone due to an individual’s right to privacy, so the new law would allow police to issue a citation if a driver has a phone in their hands. Those speaking in opposition to the bill argued that distracted driving is caused by conversation, not by hands-free cellular policies. Burke said cell phone bans did not decrease accidents based off of a study conducted by the Highway Loss Data Institute, and a more effective method would be to increase punishments on drivers involved in accidents if they were found to be texting. Fifteen other states have enacted similar distracted driving laws. Georgia was the most recent. “In states that have passed this legislation, there has been a 16 percent reduction in accident frequency,” Rey said.